Does your business use pink as it’s color or would you like to show support of Breast Cancer Awareness in October or to target the female market? 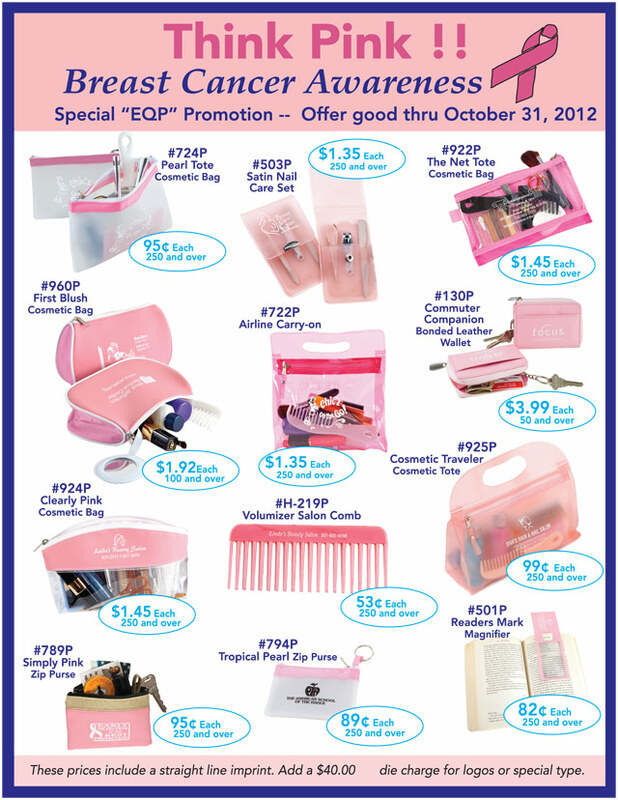 Thousands of items are available in pink or you can use pink imprint on other items. Bags, pens, stress balls, cups, hats, visors, shirts, and more. Anything you can think of can come in pink! 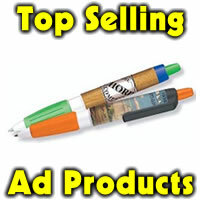 Great for runs, walks, giveaways, tradeshows or special events. The ones shown below are just a few of the items to choose from. Your imagination is the only limit. 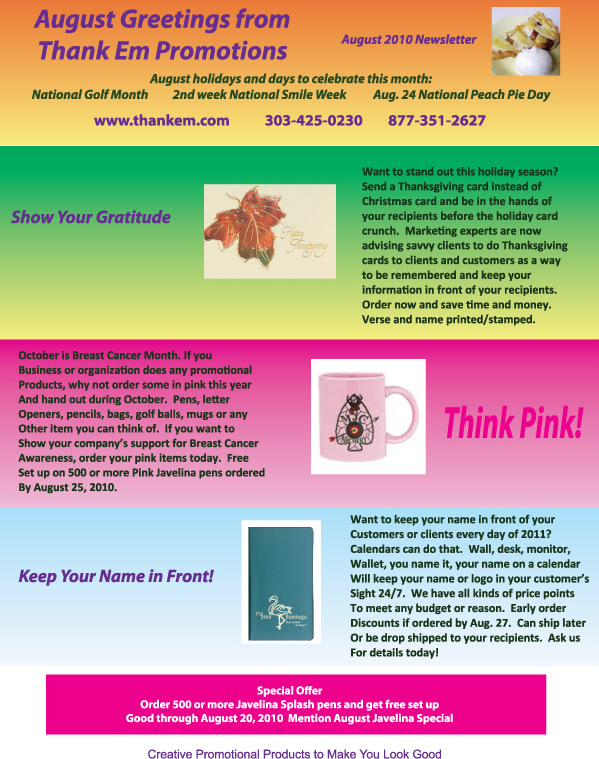 Think pink and put your logo or slogan on a variety of items from pens to mugs, hats and more. Great for fundraisers, tradeshows, special events and more.